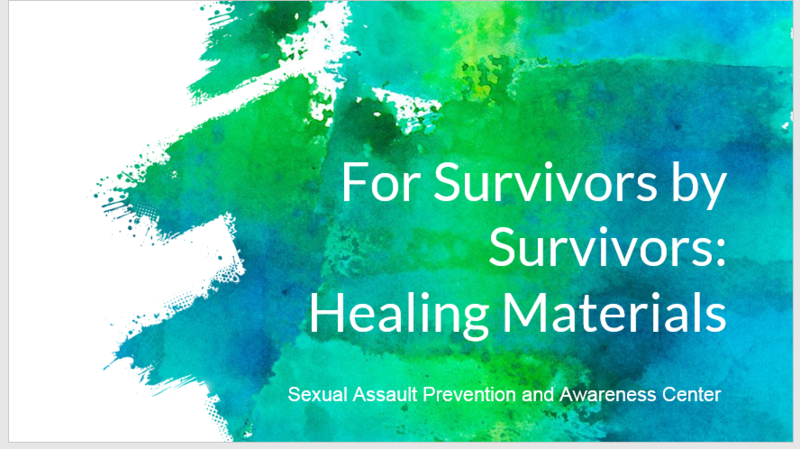 In March 2018, SAPAC created and shared a survey as a part of a project entitled For Survivors by Survivors: A Healing Resource Co-Creation. The anonymous survey was an opportunity for survivors to share what materials have been helpful in their healing process; these are the results. In here, you will find books, poetry, songs, movies and shows that survivors have found helpful as a part of their healing process. If you are a survivor, this resource is for you. Not all of these answers will speak to you, but some may. Our hope is that you can use it to find resources that will be helpful in your healing.